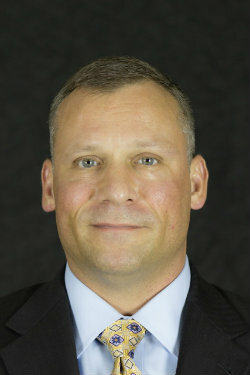 I began my career in mortgage banking in 1997, shortly after serving in the US Army. I grew up in Silver Spring, Laurel and then Sykesville before leaving for service in the US Army in 1989. My wife, Jeannette and I live in Westminster, MD with our two school age kids. Prior to becoming Jeannette's licensed assistant in 2017, I was a mortgage banker. I have seen every cycle – good and bad – of the mortgage industry. I have worked as a mortgage broker, correspondent lender and directly for a bank – Chase and PNC. I was even a co-owner of a mortgage company for nearly 10 years. I primarily manage Jeannette's marketing from her 20+ social media pages to generating property flyers and postcards. I also show houses to buyers when Jeannette's schedule is tight. I am still a licensed mortgage loan officer and am happy to answer any questions you may have related to the mortgage process. "Where do I begin. Jim is very professional and was helpful in explaining this whole new world to me. He takes his time to answer all of my questions ... more "
"Jim was very helpful and responsive to all our questions from day one. We have called one lender before talking to Jim since we thought that they will ... more "
"Being a first time home buyer, Jim made it very easy to understand everything that was expected throughout the buying process. I really appreciate ... more "